I replaced my favorite clock within the first year after the move. The ticking was driving me mad. Life after college was quiet. I moved to Alabama four years ago, several states away from all I knew and loved. For the first time in my life, I truly lived alone. I went entire weekends without speaking. I flipped television channels for something, anything, to capture my attention. To take away the gnawing emptiness. The longer I went without a phone call, a chance visit, a video chat hangout, the sicker I felt. As if all the energy in me had been sucked out by the great, hovering loneliness. This is when I discovered I was an extrovert, thanks to online personality tests. A year later, I found bloggers who wrote about their anxiety. It rocked me to the core how well I could relate. How much their advice helped. How it changed everything to know I wasn’t what I thought I was: Alone. I’m only half-joking when I say the internet saved my sanity. We can rant about technology all we like, the evils, the privacy violations, the addiction. But I know I owe my ability to live this pioneer girl life to the digital age. It’s true that I’m still often alone, but I’m no longer so lonely. I have learned peace and coping strategies, hope and communication skills, joy in the moment and accepting me. Just me. Without having anyone to entertain or impress. From that freedom, I can connect with an open heart. Facebook is known for causing comparison and envy, but for me it’s a lifeline. Twitter is more than “what I had for breakfast” and news updates. It’s how I find other bloggers to exchange “me too”s with. Through Pinterest, my fellow bridesmaids and I help plan our friends and families’ weddings. Skype connects me to my friend in China. Through texts, I am with my sister whenever she needs a smile or encouragement. Our family dreams of vacations through our wanderlust-filled emails. Sometimes my friends and I phone in for a minute; some nights it’s three hours. Through Instagram, I have a window into the lives of my mom-friends, busy with the lives of their small ones. Through Tumblr, I find other fangirls, and we share about how much we love characters, how storylines should have gone, how to improve our own writing, how a line of dialog hit home… and how we have survived our own real-life battles. Four years later, I have my “Alabama family” here around me physically, but I am also surrounded by a digital family – some my blood relations, some friends from past lives, some I will never meet. When I move on to a new place, a new apartment that is quiet enough to hear the clock tick, I will take these people with me. My digital family grows every day. It makes the fear smaller, the hope bigger and uncertainty exciting. Perhaps it is ironic that the very technological development the media decries as causing the isolation and loneliness in our society is the very thing that made all the difference for a girl living so very alone in a foreign state, in a quiet apartment, scared in the dark as the clock ticks too loud, but I always know, no matter where I am in the world, my digital family is there for me in one form or another. Everyone moves on with their lives, of course, but that is what is beautiful about it. Far from feeling left out or hurt, I smile to see photos of college friends having new adventures, their weddings and babies, their path pulled further from mine. Because I know, thanks to the digital age, they are only a comment away, an email, a chat or a text. And I know, here in the digital age, I am not alone. “Physically Alone, Digitally Connected” was written by Jenna DeWitt. 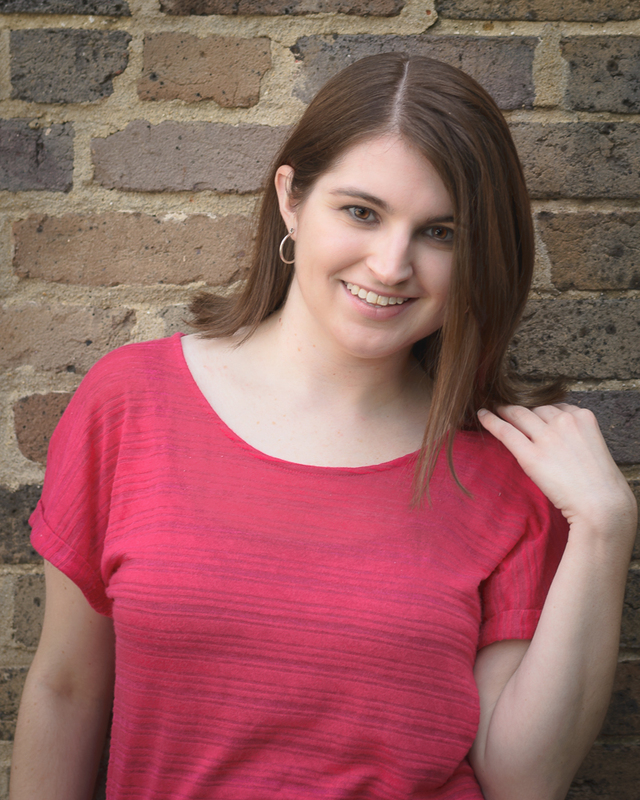 Jenna is the managing editor of MORF Magazine, a resource for youth ministers, mentors and parents of teenagers. She has a bachelor’s in journalism from Baylor University, where she edited a bunch of student publications, became a fan of C.S. Lewis and drank Dr Pepper floats with Blue Bell ice cream like a true Texan. She currently lives in Birmingham, Alabama, where she has been adopted-in-spirit by a lovely group of folks whom she calls her “Alabama family.” You can find her on Twitter @jenna_dewitt and on her website at http://jennadewitt.com. This entry was posted in Alone in Place, Guest and tagged anxiety, blogs, community, connection, Facebook, family, friends, loneliness, online relationships, Pinterest, post college life, Skype, technology. Bookmark the permalink. It is such a nice breath of fresh air to witness technology being celebrated instead of vilified. Thank you for shedding a positive light! I can SO relate to this, as a fellow extrovert. I’m also proud of you for living alone—I think it’s a very important thing for everyone to do (and something I didn’t try until I was in my 30s!). That’s not to say it’s the best choice for everyone forever, but the experience is important. And finally, I’ve often thought “If only blogging and social media had been there for me!” when I was at my loneliest and most isolated, as a new mom in a lonely marriage. It would have been a lifeline, I’m sure. It’s always so good to hear a “me too”! I actually really love living alone. It sounds crazy because it is so hard sometimes, but it actually helps a lot with the anxiety to not have roommates. Weird, I know, but true. I’m on the other side of the I/E spectrum – but I so relate to this! I’ve moved across the country alone twice – but each time my “digital friendships” were a constant – I could keep blogging and my friends there were the same. I could log on to social media and find familiarity and people who knew me. when people talk about “fake” online friendships I’m just sad that they don’t understand the beauty and depth that friendships in the digital age can offer us. Yes! I definitely believe internet friendships can be real. Sometimes more so than our “real life” ones.